In South Maui, there are numerous activities to take part in. There is a plethora of beautiful beaches to go swimming, snorkeling, surfing, boogie boarding, beach combing and sun bathing. 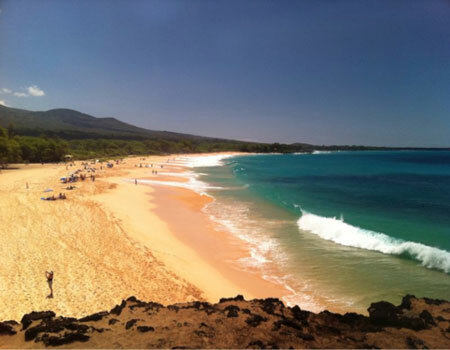 The South end of Maui is known for it's tropical sandy beaches and these areas include Kihei, Wailea & Makena. Depending on the shore break and the wind, you can take your stand up paddles out at almost any of the following beaches. The best time to head to the beach is earlier in the morning before noon, this is when the water and winds are most calm. If you head out early enough, your chances are much better of seeing the sea turtles out in the water. On those days of no wind and extreme heat, be sure to bring an umbrella with you, since chances are you won't be near any shade. If you would like to live or vacation near any of these beaches in South Maui, you might enjoy the condos at Wailea Ekolu, Island Surf, Maui Kamaole, Kamaole Sands, Palms at Wailea, Polo Beach, Makena Surf, Na Hale O' Makena or shop for homes for sale in Wailea.